We have owned our vineyard land and small winery in Ribera del Duero, located just outside of the small town of Sotillo, for just over nine years. We have fallen in love with the region and its unique expression of our most beloved and important grape variety - Tempranillo. We look forward to working with this land in expressing it’s character for many generations to come. 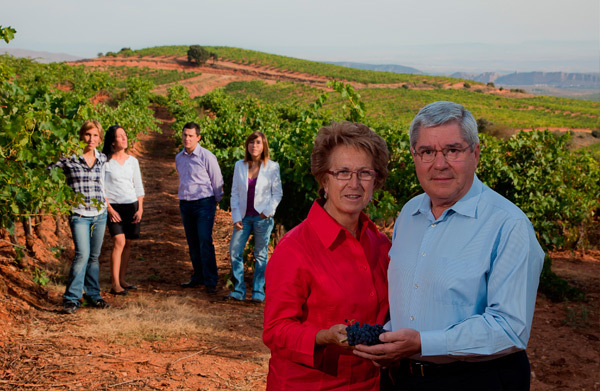 Raquel, Rubén and María Pérez Cuevas are part of the fifth generation of the Pérez Cuevas family to carry on the tradition of grape growing in the southern part of Rioja, recently expanding to D.O. Ribera del Duero. Their father, Gabriel, inherited a portion of his family's vineyards. The nose exhibits powerful red fruit aromas with hints of earthiness that give way to a touch of toast. Fleshy, fruit-forward - dark berry fruit on the palate interlaced with delicate tannins, significant weight and lengthy persistence.